Carlisle Castle is situated in Carlisle, near the ruins of Hadrian’s Wall. 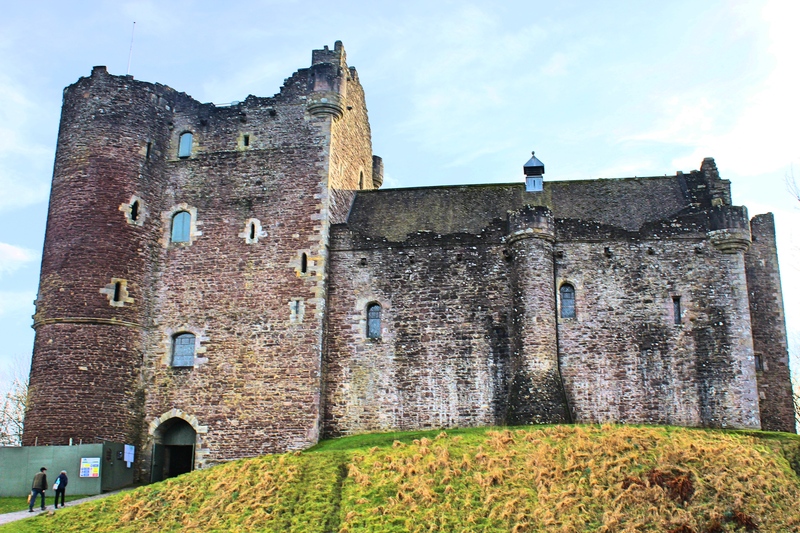 The castle is over 900 years old and has been the scene of many historical episodes in British history. Given the proximity of Carlisle to the border between England and Scotland, it has been the centre of many wars and invasions. Today the castle is managed by English Heritage and is open to the public. The castle until recently was the administrative headquarters of the former King’s Own Royal Border Regiment now county headquarters to the Duke of Lancaster’s Regiment and a museum to the regiment is within the castle walls. Carlisle Castle was first built during the reign of William II of England, the son of William the Conqueror who invaded England in 1066. At that time, Cumberland (the original name for north and west Cumbria) was still considered a part of Scotland. 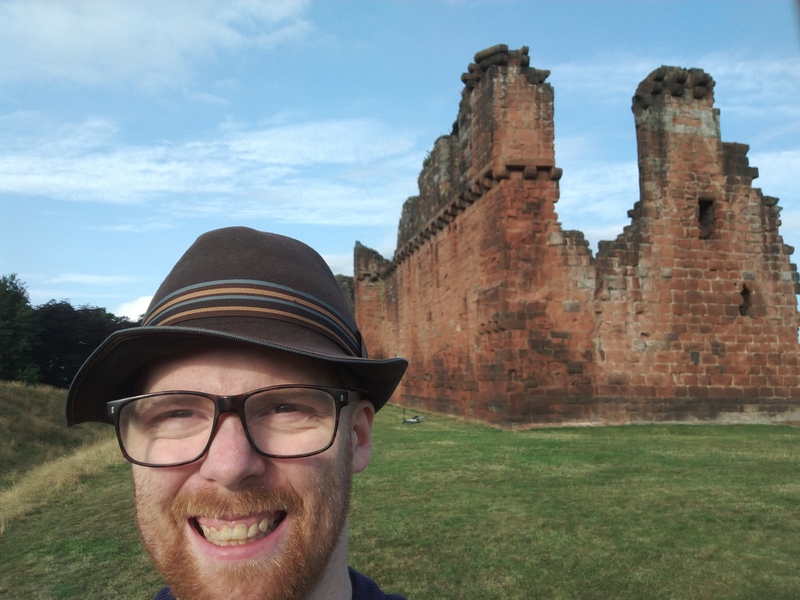 William II ordered the construction of a Norman style motte and bailey castle in Carlisle on the site of the old Roman fort of Luguvalium, dated by dendrochronology to 72AD, with the castle construction beginning in 1093. The need for a castle in Carlisle was to keep the northern border of England secured against the threat of invasion from Scotland. In 1122, Henry I of England ordered a stone castle to be constructed on the site. Thus a keep and city walls were constructed. The existing Keep dates from somewhere between 1122 and 1135. The act of driving out the Scots from Cumberland led to many attempts to retake the lands. The result of this was that Carlisle and its castle would change hands many times for the next 700 years. The first attempt began during the troubled reign of Stephen of England. On 26 March 1296, John ‘The Red’ Comyn, since the fourth quarter of 1295 Lord of Annandale, led a Scottish host across the Solway to attack Carlisle. The then governor of the castle, one Robert de Brus, deposed Lord of Annandale, successfully withstood the attack, before forcing the raiders to retreat back through Annandale to Sweetheart Abbey. From the mid-13th century until the Union of the Crowns of England and Scotland in 1603, Carlisle Castle was the vital headquarters of the Western March, a buffer zone to protect the western portion of the Anglo-Scottish border. Henry VIII converted the castle for artillery, employing the engineer Stefan von Haschenperg. For a few months in 1567, Mary, Queen of Scots was imprisoned within the castle, in the Warden’s Tower, which was demolished in 1835. Later, the castle was besieged by the Parliamentary forces for eight months in 1644, during the English Civil War. The most important battles for the city of Carlisle and its castle were during the Jacobite rising of 1745 against George II of Great Britain. The forces of Prince Charles Edward Stuart travelled south from Scotland into England reaching as far south as Derby. Carlisle and the castle were seized and fortified by the Jacobites. However they were driven north by the forces of William Augustus, Duke of Cumberland, the son of George II. Carlisle was recaptured, and the Jacobites were jailed and executed. 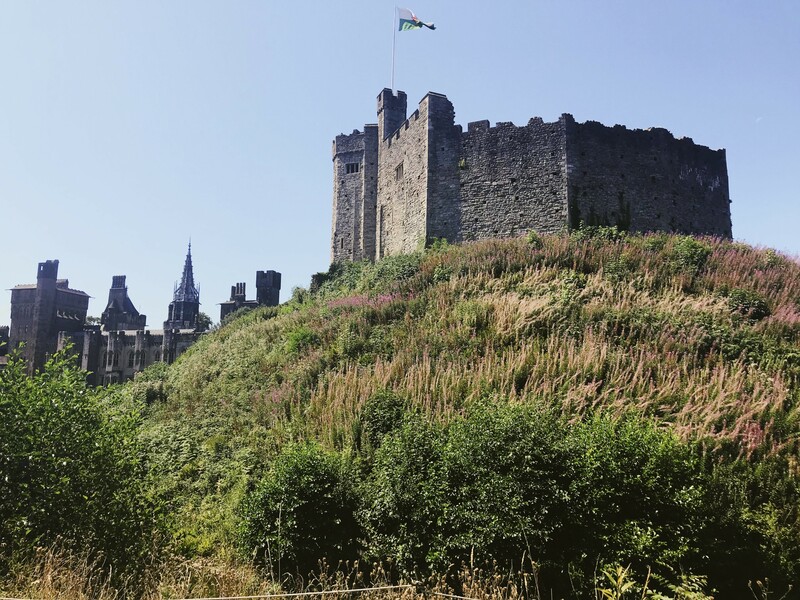 That battle marked the end of the castle’s fighting life, as defending the border between England and Scotland was not necessary with both countries again one in Great Britain. After 1746, the castle became somewhat neglected, although some minor repairs were undertaken such as that of the drawbridge in 1783. Some parts of the castle were then demolished for use as raw materials in the 19th century to create more or less what is visible to the visitor today. The Army moved in to take hold of the castle and in 1873 a system of recruiting areas based on counties was instituted under the Cardwell Reforms and the castle became the depot for the 34th (Cumberland) Regiment of Foot and the 55th (Westmorland) Regiment of Foot. Under the Childers Reforms, the 34th and 55th regiments amalgamated to form the Border Regiment with its depot in the castle in 1881. The castle remained the depot of the Border Regiment until 1959, when the regiment amalgamated with the King’s Own Royal Regiment (Lancaster) to form the King’s Own Royal Border Regiment. The Army Reserve still use parts of the castle: 8 Platoon C Company 4th Battalion the Duke of Lancaster’s Regiment are based within the Burma Block alongside a Multi Cap-Badge detachment of the Army Reserve, including Medics, Engineers, Logisticians, Intelligence and Infanteers from other Cap Badges.